This item qualifies for FREE SHIPPING in the US. Choose Flat Rate when selecting a shipping method. Look for mystery insert cards and authentic signature cards. Randomly inserted. Approximate odds per pack of finding special insert cards: Mystery insert cards 1:12 packs; Authentic signature cards 1:72 packs. 8 Movie Trading Cards Per Pack. 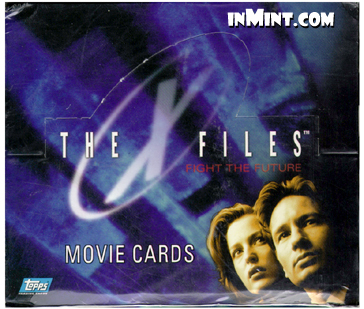 Collect all 72 X-Files Movie Cards.